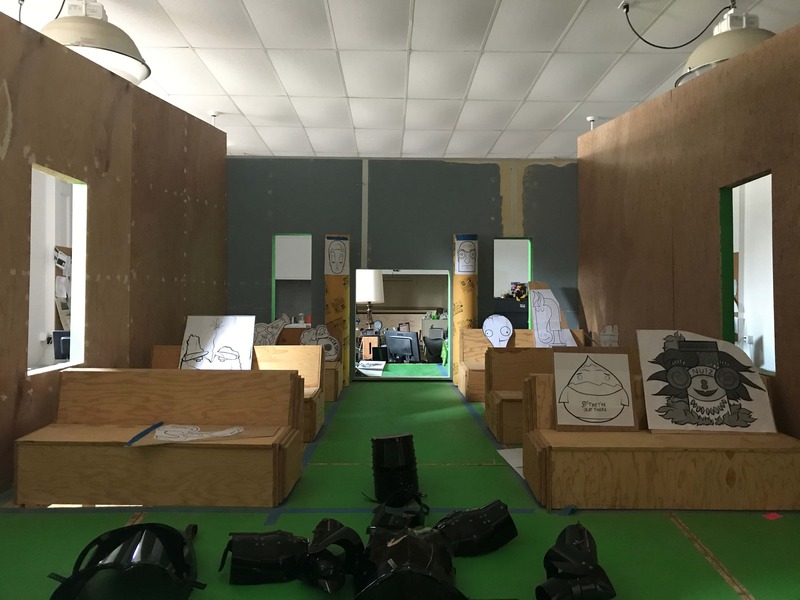 Grasshorse Studios constructed this puppet soundstage for an upcoming project. Photo by Sam McIntosh. What looks like a modest business front in downtown Winfield holds a type of work that you would rather expect to see in Hollywood. 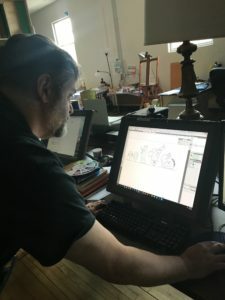 Steve Jennings looks at some animation designs at Grasshorse Studios in Winfield. Photo by Sam McIntosh. “Roll Up” will be featured in IPTV’s second season of “The Film Lounge” in February. This is the second year for Grasshorse to be featured. Buxton and Jennings say that though they are based in a rural Iowa town, they don’t want to be just a “best kept secret”. They are currently developing “Puppet Justice”, an animated puppet adult humor program, which they expect to release on a streaming service or YouTube.